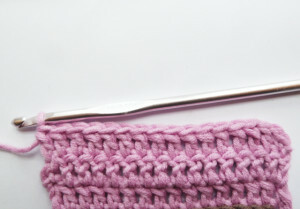 Should I crochet the next dc in the same st as the initial ch3, or in the next st ? How could I avoid this gap between the ch3 and the next dc ? Do those 3 chains count as a stitch or not ? 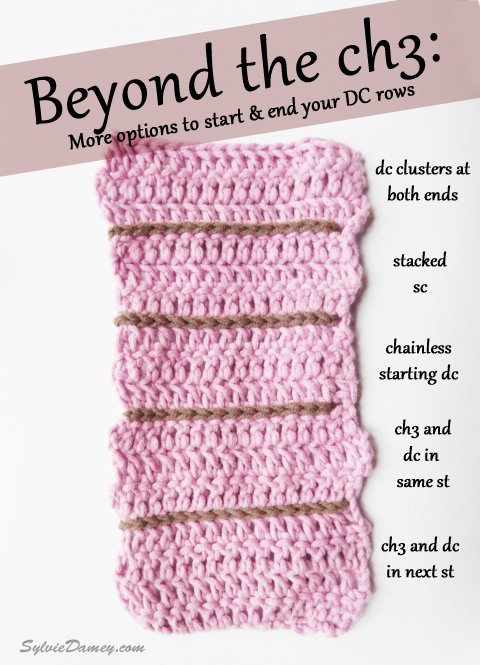 Is there any other option rather than always working 3 chains at the beginning of a dc row ? 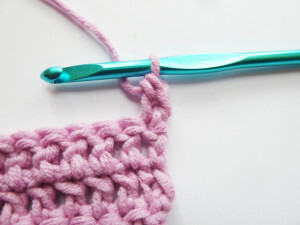 To answer those questions, let’s crochet together another pretty sample to try all the various techniques and tricks which crocheters around the world devised. We’ll also try and study and compare them, so you can choose your own personal favorite. This time we’ll use plain dc in both loops, so we can focus only on the edges of our sample. 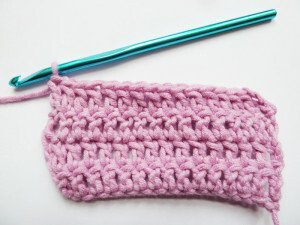 I’ll be using the same yarn and hook as for the previous episodes of the DC project. Start with a foundation chain of 17 chains, 1 dc in 4th ch after hook and in each following chain. You have 15 dc. 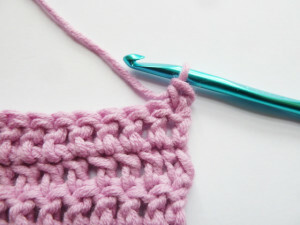 At the beginning of a row, start with chain 3 (= ch3). 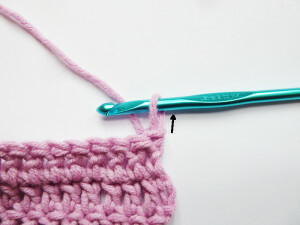 Your next stitch will be worked in the following stitch, as indicated by arrow. 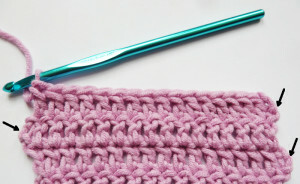 In this case, the initial ch3 COUNT as first stitch of this row. At the end of the row, make sure you work in the top of the ch3 from row below, as indicated by arrow. Because those ch3 COUNT as a regular dc. 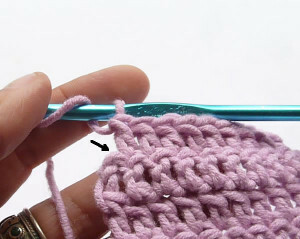 If you forget to work in top of those ch3, you’ll be missing stitches very quickly in your stitchcount ! And this is what this first method looks like. The sides are pretty even BUT since the ch3 are thinner than a regular dc you may notice a gap between the ch3 and following dc. Depending on people and projects, this may or may not be an issue. To me, this is a super simple method with decent results. 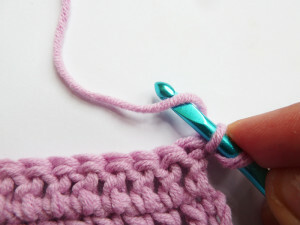 Option 2 – chain 3 and dc in the same stitch = the ch3 do not count as a stitch: in this case, the first dc is worked in the same st as the starting ch3. 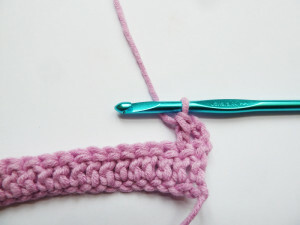 At the beginning of a row, start with ch3. 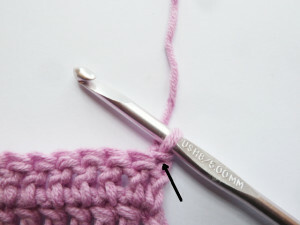 The next stitch, a regular dc, will be worked in the SAME stitch, as indicated by arrow. At the end of the row, make sure you DON’T work into the initial ch3 this time. Those are invisible, remember ? 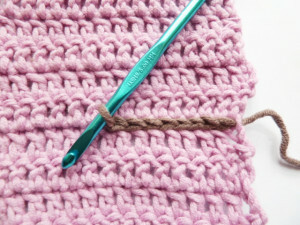 They don’t count as a stitch, so we won’t work into them or we would add extra unwanted stitches each row ! And this what this method looks like. No gap all right, but ugly bumps alternating at the end of each 2nd row. That’s the 3 chains which pop out at the beginning of the rows. 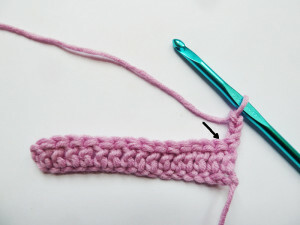 I used to follow this method the very first months I crocheted.. but I quickly discovered I hated it and would never go back ! 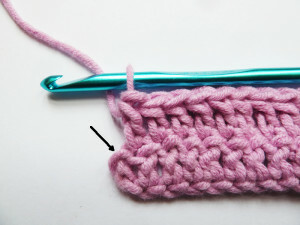 I discovered this technique on Tamara Kelly’s Moogly blog, but this technique has apparently been around for a while and “unvented” by several people. 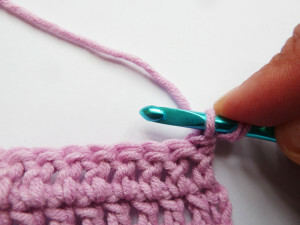 What I really like about it is that it creates a high stitch very similar to a dc, simply by elongating the initial loop and twisting it over itself. I made a video in french if you feel adventurous, or you could just watch one of those videos in english: : video by Moogly – video by A stitch less ordinary. At the beginning of a row, stretch your starting loop slightly. Then place your index finger (or whichever is convenient for you) ton top of this starting loop, so that it stays in place no matter what. Then twist this elongated loop around the hook, going down and to the back of work (videos made it so much easier for me to understand). 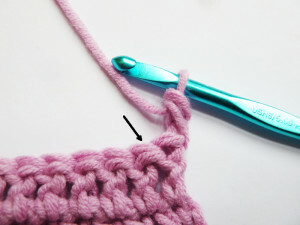 So now you have what looks like 2 loops on hook (even though one of those “loops” is made of 2 strands). Keep your finger on the top loop ! Yarn over, and pull through that first “loop” ‘made of the twisted strands). You have 2 loops on hook. Yarnover, pull through the 2 remaining loops. You have completed your first chainless starting dc !! 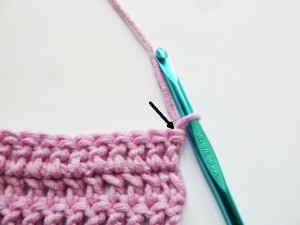 To continue the row, work a regular dc in the next stitch, as shown by arrow. At the end of the row, work the last dc in top of the chainless starting dc from row below. The end result looks really good IMO. You can hardly distinguish the chainless starting dc from any other dc, as their height and thickness are quite similar. It’s one of my favorite methods. 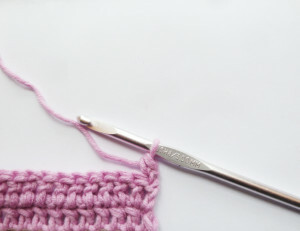 It might look a bit complex at first, but I swear it gets natural really quick, and will make all the difference if you want real neat edges for your crocheted dc rows. 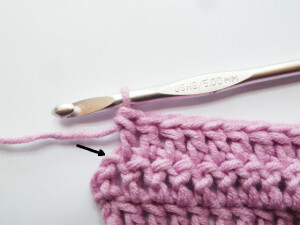 At the beginning of a row, work 1 single crochet in same stitch as starting loop, as indicated by arrow. Now we’re going to work a foundation sc into that first sc. See that side strand shown by arrow on the sc we’ve just made ? 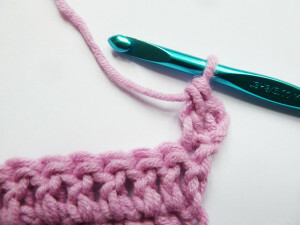 Insert your hook into that side strand, from right to left for right-handed crocheted (lefties I know you’re competent!). And continue the sc as follows: yarnover, pull through 1 loop, yarnover, pull through both remaining loops. Bravo ! You’ve just completed your stacked sc. It’s also quite similar to a regular dc, only a bit wider at the top. 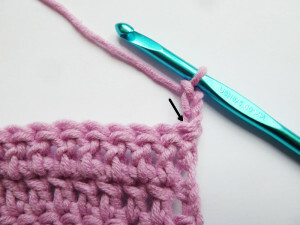 Continue working the row with a dc in next stitch… and end end with a dc in top of stacked sc from previous row. And this is what it looks like after a few rows. Quite even, and no gap ! It’s also probably less intimidating than the previous method. Tell me what you think ! 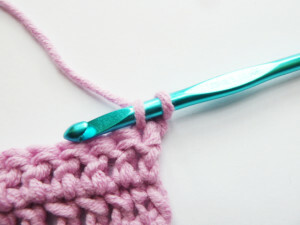 At the beginning of a row, work 1 single crochet in the first stitch, as indicated by an arrow. 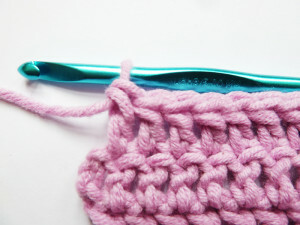 Then work 1 chain over the single crochet. 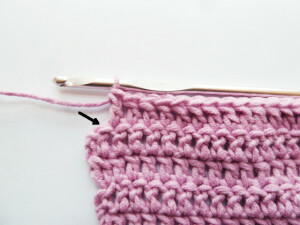 You get a “stitch” that roughly looks like a dc, without the extra width of the stacked sc. 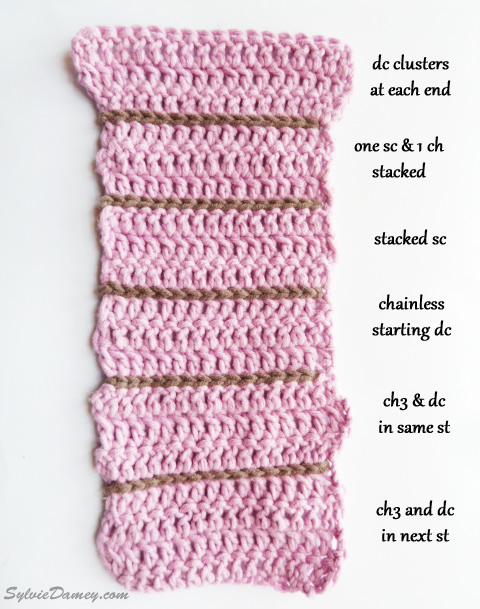 At the end of the row, work the last dc in the chain at the top of the “stacked sc and chain”. Here again, the resulting fabric has clean edges, with rather symetric ends. 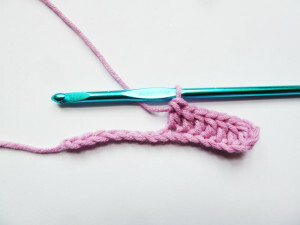 Tara Murray – aka Mamachee – blogged about another technique, which is actually a variant of the basic chain3. 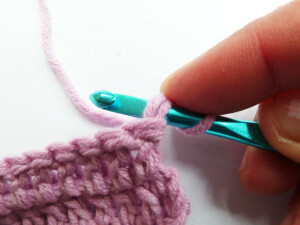 In this case, you work 2 stitches in each edge stitch = perfect symetry. 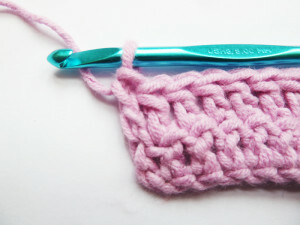 At the beginning of a row, simply chain 2, and work 1 double crochet in the SAME stitch. Then work the next dc in the next st… ect. 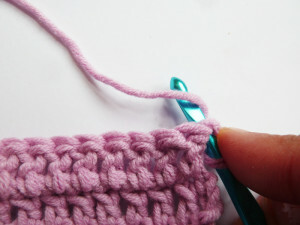 At the end of a row, work a mini-cluster of (2 dc in the same stitch and closed together). 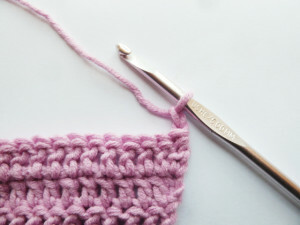 The fact that we jammed 2 sts in 1 both at the beginning and the end of each row means that our swatch is growing wider with this method, as you can see in the 2nd picture. True, the edges are clean and symmetric. BUT this method will impact the final width of your work. Tara recommended it for a blanket, and that’s probably a good idea to reserve it for projects where final measurements don’t matter so much. 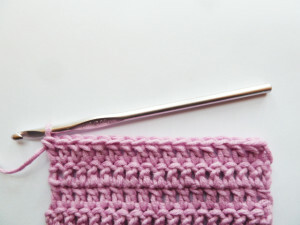 As I did in the previous episodes, you can separate each method by a line of surface crochet: hold the contrasting color yarn UNDER work (on WS) and work a line of loose slip stitch in between 2 rows. And so, the conclusion you’ll ask ? Well I ask you. 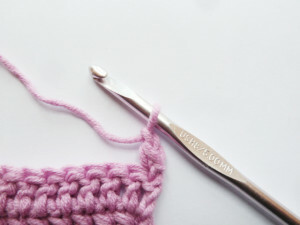 I’m sure nearly every crocheter will have a different opinion depending on how they crochet, what they crochet, their habits and the level of detail they like. Which method do YOU prefer ? And why ? We’d love to know. As for myself, it depends. 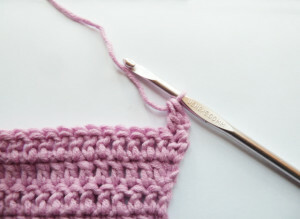 I’m not very picky and tend to stick to the old ch3 counting as first stitch for many projects, especially if a final crocheted edging will hide any existing gap. For special projects for which I really want neat edges though, I often use the chainless starting dc. 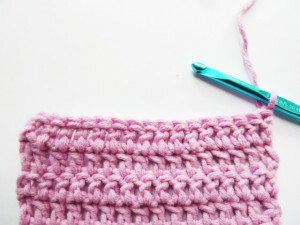 IN my patterns though I always keep the “ch3, which counts as first stitch” convention because I assume that’s what’s most people are used to. And I KNOW that those who use alternative methods will easily translate it into their own favorite method. Now I want to hear about YOU: what’s your favorite method and why ? Do you know of any other method I didn’t mention here ? If you do, please leave a comment so I can add it here to make this list as complete as possible ! 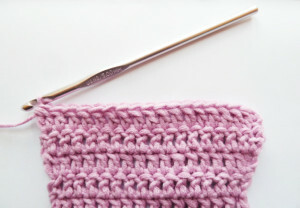 Yes, I’d love to hear about Sylvie Damey’s next articles & patterns !